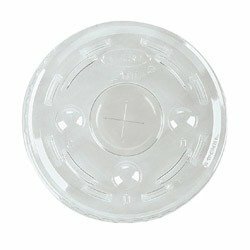 Dart Plastic Lids for 16 oz Cold Cups (100 Count). These lids will perfectly fit your 16 oz plastic cold cups. The lids also have a straw slot. Perfect to keep spill to a minimum. 100 Lids per sleeve.